Warts are uncontrolled growth of lesions on the skin and are caused by the Human Papilloma Virus (HPV). Despite the fact that they can affect any body part, they are most commonly found on the hands and feet. The most frequent warts encountered are flat warts, genital warts, and plantar warts. Warts are a regular skin infection and they eventually go away on their own, but of course, most people want them gone immediately. They take sufficient time to grow and can be easily detected. But if ignored persistently, they can turn cancerous. A high percentage of all cervical cancers are caused by HPV. There are numerous ways to treat warts. A patient may choose over-the-counter treatment or professional surgical removal. Besides these modern age treatments, home remedies for warts are also available. Many people prefer home remedies over professional treatments. The main reason behind this is the steep fees for surgical treatment and the fear of scars left after incision. Also, surgical treatment may have to be repeated if warts return to haunt again. These reasons tip the scale in favor of home remedies for warts removal. One could say also that having warts is embarrassing. If you can make them go away without alerting others, it seems like a good option. A person having a good immune system can usually resist HPV infection. So, a proper diet which strengthens the immune system should be followed. Foods that are rich in Vitamin C like oranges, other citrus fruits, and spinach are advised to patients. Besides foods that are rich in Vitamin C, other foods that are also believed to help boost the immune system are superfruits like blueberries, diets rich in mushrooms (Reishi, Maitake, and Shiitake) and Aloe Vera extract is also prescribed by dieticians. It is the most widely used and inexpensive treatment for common and flat warts. The acidic content of the vinegar actually helps to remove the wart. The vinegar is soaked in the skin surrounding the wart and due to the acid, the skin gradually peels off. This treatment should not be used for genital warts as they are sexually transmitted and should be treated by a doctor. This method can be used in two ways. The first is to mix some vinegar in a cup of warm water and then apply gently on warts affected area. Warts will disappear slowly, but its application might cause irritation on the skin. The second method involves applying a mixture of vinegar and warm water for a longer period of time, usually overnight. This treatment takes time and must be continued until the wart peels off by itself. Lemon juice is also highly acidic in nature. The application method for lemon juice on the wart is similar to the apple cider vinegar method. You can soak a cotton ball in a mixture of lemon juice and water and then apply it overnight on a wart. This is a slow process and must be done for weeks until the wart fades away by itself. 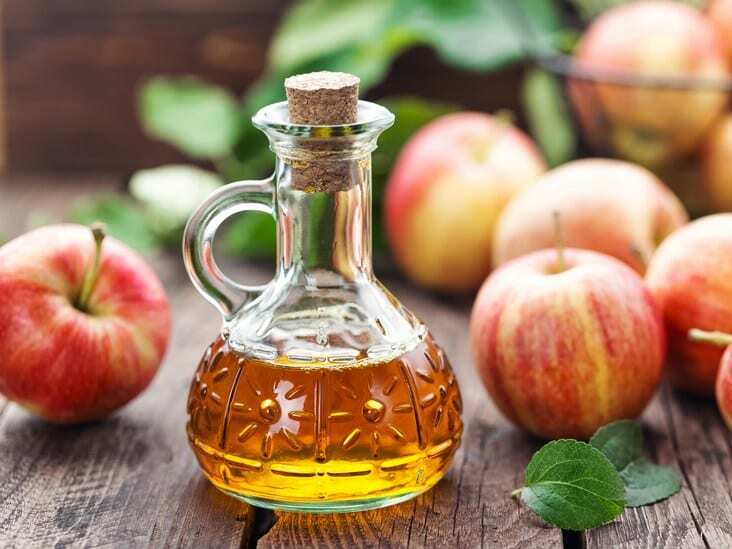 This treatment has been known to remedy wart issues but is perhaps not as effective as the apple cider vinegar method. The lemon juice treatment on warts has been around for a long time and is a treatment you can do with produce from your grocery store or even off the side of the road in a remote area. Natural Chinese herbs like Zi Su Ye, Jin Yin Hua, and Ban Lan Gen are also effective in treating warts. A paste of these herbs is applied to warts for some time during the day. Regular treatment can get rid of the wart. Though, more studies on its effectiveness are currently underway. Other herbs you may use to treat warts are Ficus Carica and Echinacea. Ficus carica is a type of fig tree and the latex from this fig tree helps decrease the chance of warts growing on the skin. Echinacea is commonly known as purple coneflower and is taken orally. It is a supplement that you can take which will also help decrease the occurrence of warts on the skin. You may also take the tea version of the Echinacea. Another very effective way to cure warts naturally is the use of essential oils for warts removal. One of the oils you can use is tea tree oil or also known as Melaleuca. Tea tree oil has antimicrobial and antiviral properties. The oil may be applied to the wart once or twice a day. It may take several months for warts to start peeling off. If the oil you have is highly concentrated, then you have to dilute it first with a carrier oil before applying it to the wart. You may also use other essential oils for warts removals like Neem oil, Cinnamon Bark oil, Oregano oil, Frankincense oil, Clove oil, and cypress oil. All essential oils have some sort of risk in an allergic reaction. Before you start applying it to your warts, perform a patch test first. Allergic reactions with essential oils can include very fast heartbeats, shortness of breath, dizziness, itchiness, redness, and anaphylaxis or a serious allergic reaction that may cause death. A friendly reminder to pregnant women, consult your doctor first before using any essential oils. This remedy may not be purely natural but it can be easily used at home. The idea behind this treatment is to cut off the oxygen supply to the virus and the wart will die itself. A strip of duct tape can be used to cover the affected area. Ensure that the wart is fully covered and make sure that the skin around the wart is not covered with tape. Let the duct tape sit for 6 days to a week. Take off and discard the duct tape and then dip the infected area in warm water and scrub off the dead wart tissue with a nail file made out of emery or pumice stone. Leave it uncovered overnight or after ten to twelve hours to dry up, then place a new piece of duct tape covering warts. Repeat this process for eight weeks or two months and then warts should completely come off. It is still best to protect yourself from having these warts. Always make sure that whenever you touch anything in the public, wash your hands thoroughly and as often as you can. Also, wear shoes or any other footwear especially when in the public, like swimming pools and shower rooms because human papillomavirus thrives in warm and moist areas. These unconventional treatments are inexpensive and can be performed at home. But none of them are recommended for genital warts. To treat genital warts, a patient must seek professional help. As a treatment for common warts, one should definitely give these home remedies a try. However, most of these home remedies for warts removal haven’t been scientifically proven but are only based on the experiences of people who have used these methods and found them effective in treating warts. So, please use at your own expense. They also do not guarantee the complete removal of the virus from your body as these home remedies will only treat the wart and not the human papillomavirus. The full wart removal info can be found here: https://warts.org/wart-removal. To see the different types of warts and symptoms, simply check out our home page at https://warts.org and click on the various kinds of warts.